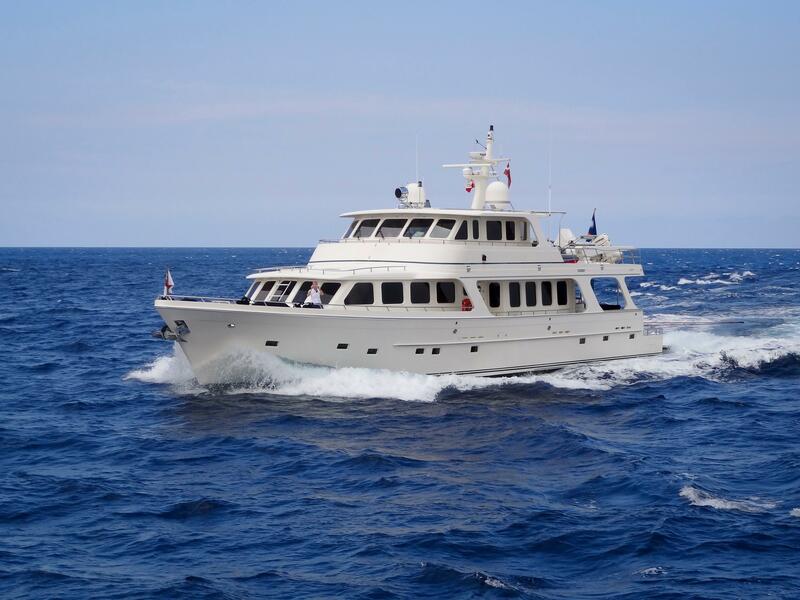 Offshore Yachts has been building high-quality fiberglass cruising yachts since 1948 with the philosophy of maximum comfort, safety, and convenience regardless of sea conditions. 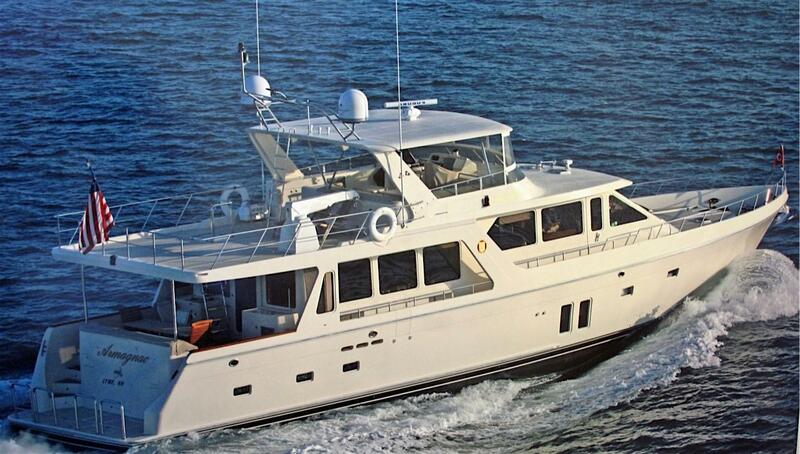 Classically designed with attention to detail, Offshore Yachts have the following design features: two-tone non-skid decking; low silhouette and center of gravity; deep and finely Veed forefront; and molded fiberglass window frames, doors, and hatches. Worth Noting: In 1945, Richard Hunt, Offshore Yachts founder, worked with the U.S. Navy to develop FRP application for boats. 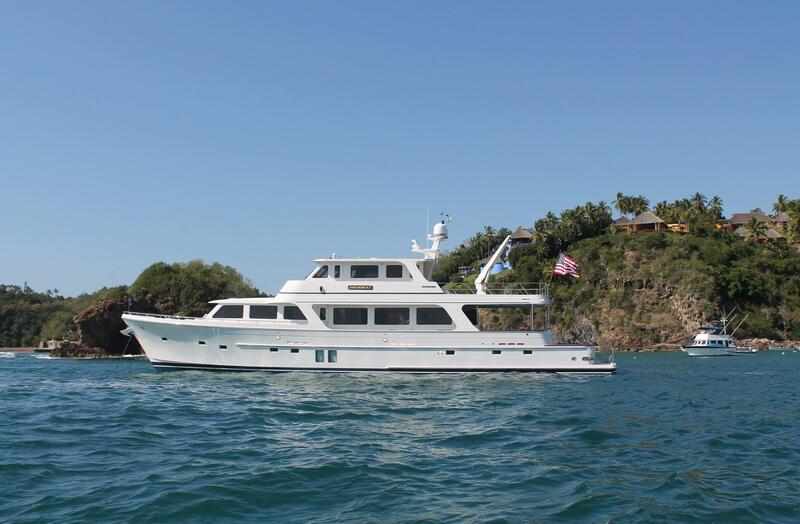 Offshore 48 Yachtfish 1985 - Current 48' 3" 15' 6" 3' 6"
Offshore 48 Sedan 1987 - Current 48' 6" 15' 6" 3' 6"
Offshore 48 Pilothouse 1999 - Current 48' 6" 15' 6" 4' 4"
Offshore 52 Sedan 1991 - 1999 52' 0" 16' 10" 3' 10"
Offshore 55 Pilothouse 1990 - Current 55' 0" 16' 10" 5' 0"
Offshore 52 Pilothouse 1998 - Current 56' 3" 15' 10" 4' 1"
Offshore 54 Pilothouse 1998 - Current 57' 3" 15' 10" 4' 1"
Offshore 58 Pilothouse 1994 - Current 58' 0" 16' 10" 4' 8"
Offshore 55/60 Pilothouse 1990 - Current 59' 6" 16' 10" 5' 0"
Offshore 58/62 Pilothouse 1994 - Current 62' 6" 16' 10" 4' 8"
Offshore 64 Voyager 2014 - Current 65' 6" 18' 6" 4' 9"
Offshore 66 Pilothouse 2005 - Current 66' 6" 19' 3" 5' 5"
Offshore 72 Pilothouse 2005 - Current 71' 8" 19' 3" 5' 5"
Offshore 76 Pilothouse 2012 - Current 75' 11" 19' 3" 5' 4"
Offshore 80 Pilothouse 2012 - Current 80' 8" 19' 3" 5' 4"
Offshore 80 Voyager 2003 - Current 80' 11" 21' 6" 5' 10"
Offshore 85 Voyager 2003 - Current 84' 11" 21' 6" 5' 10"
Offshore 87 Pilothouse 2012 - Current 87' 0" 21' 6" 5' 10"
Offshore 90 Voyager 2003 - Current 89' 11" 21' 6" 5' 10"
Offshore 92 Pilothouse 2012 - Current 92' 0" 21' 6" 5' 10"
Richard O. Hunt founded Offshore Yachts in 1948. The company’s roots date back to Word War II, when Richard pioneered the use of laminated fiberglass for the construction of auxiliary U.S. navy boats due to steel shortages. 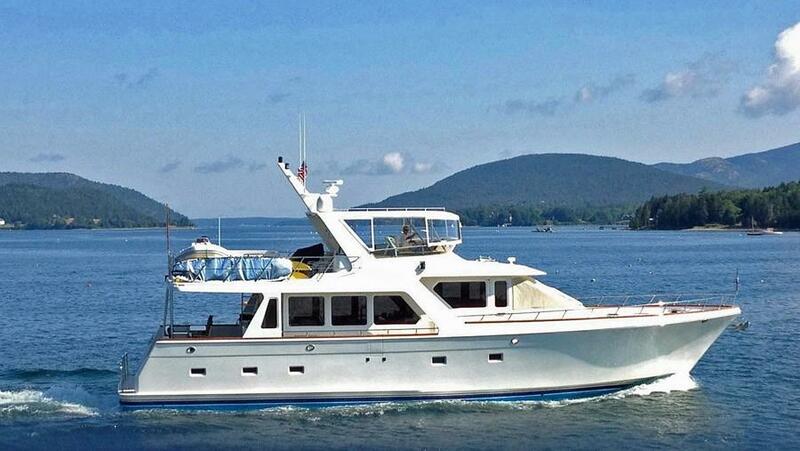 After the war, Richard built the first laminated fiberglass pleasure cruisers, which started at 14 feet in length. The production of fiberglass boats was a milestone for Offshore, since fiberglass was becoming the replacement for wood due to its strength and durability. Richard’s sons joined the family business in 1958, and son, Robert Hunt, still runs the business today. Shortly after, in 1960, Offshore built FRP cruising boats using a modified deep-vee hull, influenced by legendary boat-builder, Richard Bertram. This design technique creates a hull bottom capable of handling rougher waters. 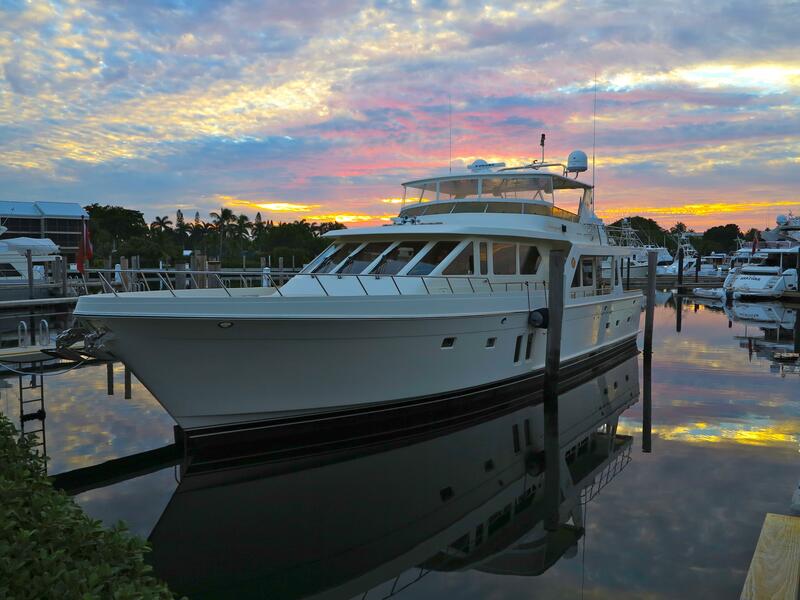 Offshore’s philosophy of maximum comfort, safety, and convenience stems from the use of the latest technology in yacht building. Utilizing hand-laminating techniques and intricate molds to prevent leaking windows, Offshore has an impressive model line ranging from 52 to 92 feet.